(Newser) – US stocks are closing modestly higher as a rebound in the energy sector helped break a three-day losing streak for the market. 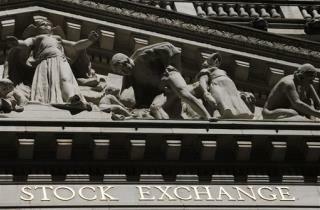 The Dow Jones industrial average climbed 82 points, or 0.5%, to 17,574 Thursday. The S&P 500 index rose four points, or 0.2%, to 2,052. The Nasdaq composite increased 22 points, or 0.4%, to 5,045.